Melville RCMP and Yorkton General Investigation Section (GIS) are asking the public’s assistance in locating 27 year-old Alvin Lawrence Sunshine. 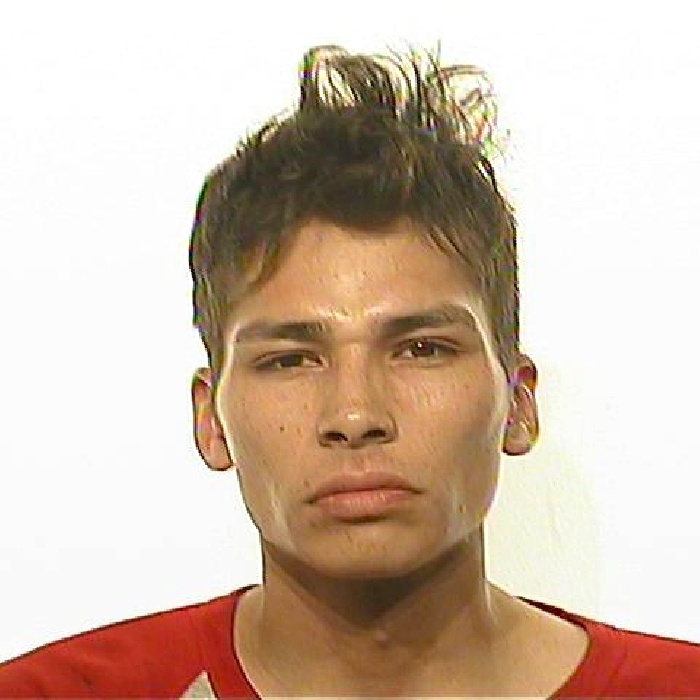 He is wanted in relation to a kidnapping that was reported to have occurred at a rural property south of Melville on July 12, 2018. Alvin Sunshine is described as being approximately 5’8” tall, 140 lbs with a slender build, with brown eyes and black hair. Please see the attached photo for reference. Anyone with information regarding Alvin Sunshine’s whereabouts is asked to contact Melville RCMP at 306-728-1700, your local police service, or Saskatchewan Crime Stoppers at 1-800-222-8477. On July 8, Melville RCMP responded to a complaint of a reported kidnapping that had taken place at approximately 1:30 PM from a rural property south of Melville. A woman was home alone when the suspect entered the residence armed with a firearm that had been reportedly stolen from that residence. The suspect demanded to be driven to Regina, and the female complied. Once in Regina, the male demanded to be taken to a residence. Upon arriving at the residence, the male had exited the car. The female drove away and immediately reported to Regina Police Service.